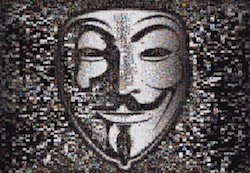 After being hyperactive last year, hackers group Anonymous is back at it again. In a post on AnonNews, an independent and uncensored (but moderated) news platform for Anonymous, the hackers group have warned that it is still operational and we can expect to see a lot more from the group this year. The group has also posted a video (see below) on the platform, which is basically a compilation of some of the operations that it carried out last year. "The video was made in teamwork by Anons around the world and it content belongs to the internet. This is only an excerpt from the actions of Anonymous during 2012. The operations which are listed in the video are only examples, there are far more operations. Some of them are still running like Operation Syria. We are still here. Corrupt governments, organisations and corporations, etc. Expect Us," read a post on AnonNews. The group has also listed a number of ways in which common folk like us can be a part of its crusade. These include sharing their message on blogs, social networks, and video diaries, following the Anonymous twitter accounts, among others (click here for more). And just to jog your memory about the activities of the group last year, in June last year, the group had started its 'operation India' in retaliation to a John Doe order taken by Copyright Labs, Chennai, from the Madras High Court, for preventing the piracy of a couple of Tamil films. As part of the operation, the group hacked/defaced official websites including that of the Supreme Court, the ruling Congress Party, Bharatiya Janata Party (BJP), Department of Telecommunications, Reliance Big Entertainment, All India Trinamool Congress (AITMC) and the Mizoram Government. The group later carried out a peaceful protest in a number of cities in the country. In August 2012, the group took down the official website of the Samajwadi Party (which rules Uttar Pradesh) and then tweeted about the same. This was followed by the hacking of the website of Kapil Sibal, the Communications and Information Technology Minister of India. Last month, the group hacked India's largest fixed line telecoms operator Bharat Sanchar Nigam Limited's (BSNL) website and demanded the withdrawal of Sec 66A of IT Act, alleging that it suppresses freedom of speech and expression. Keep track of this space for more updates on Anonymous. Also, do you agree/support the tactics used by the hackers group or are they a tab extreme, share your comments below.